If you are a loner, a hermit or seek solitude, then you have no business to be in Malta – that is unless you self-exile yourself to one of the tiny islands such as Filfla, Comino or the even tinier St Paul’s Island. The people of these islands are a gregarious lot and grab every excuse possible for mass get-togethers and celebrations whether it’s town and village religious feasts, the five National Holidays (yes, FIVE), run-of-the-mill Public Holidays or celebrations for various anniversaries. As if these are not enough to be getting on with some bright spark came up with the idea of a glut of Harvest Festivals mostly spread throughout summer. Now Harvest Festivals are not unusual throughout the world, mainly having religious connotations as thanksgiving for gathering wheat or whatever. In most countries this falls on one particular day in the year, or at most on one week-end. Not to be outdone, the Maltese decided it appropriate to harvest-celebrate almost every particular vegetable or crop that flourishes in this Mediterranean climate. 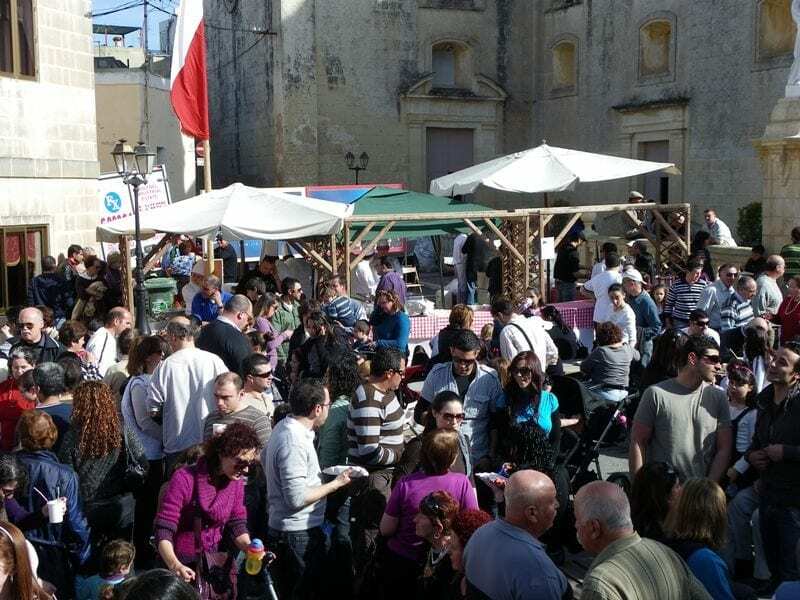 And so, we end up with a theme fair almost every week-end, that is a Strawberry Fair at Mgarr, a Wheat Products Fair at Qormi, a Milk Fair at Gharghur, a Ricotta Fair at Kirkop, a Milk Chocolate Fair at Hamrun, a Potato Festival at Qrendi and so on and so forth. 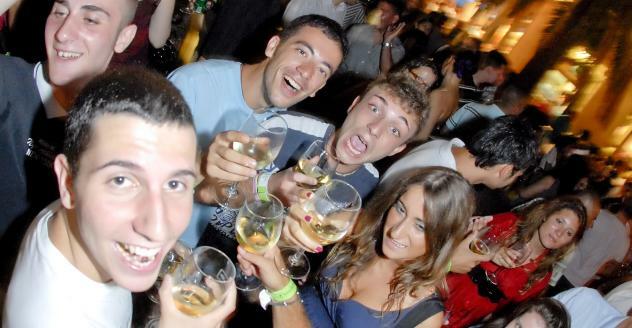 Needless to state there is also a plethora of Wine Festivals organised by the various vine-growers and vintners and naturally – not to be outdone – an annual Beer Festival although hops are not actually grown in Malta – but any excuse to knock back a pint or two. These are held on a Saturday evening or on a Sunday and the locality becomes a magnet for face-stuffing and slurping at vastly reduced prices – that is if your stomach is up to it. 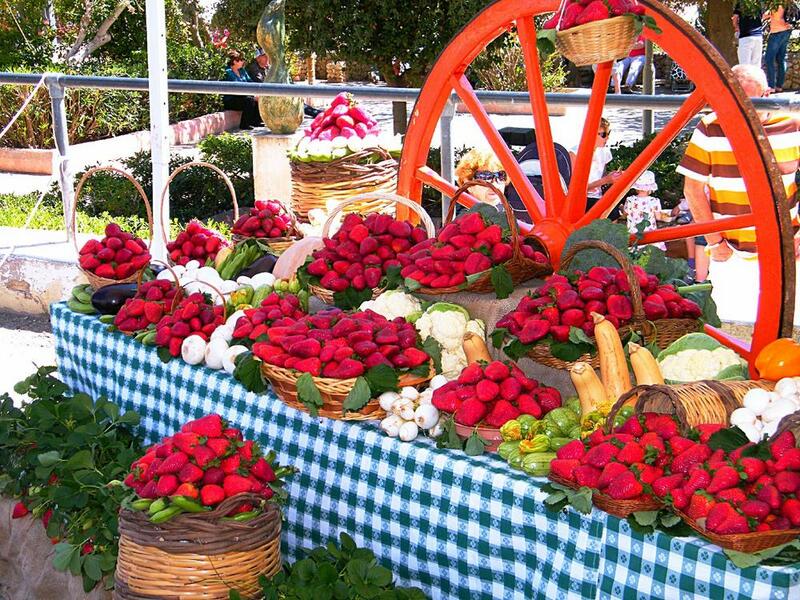 Besides the gregariousness of it all, there is also an important economic side with farmers given the opportunity to proudly sell their wares directly to the public. Approaches are clogged with traffic and the localities throng with families making a day of it. 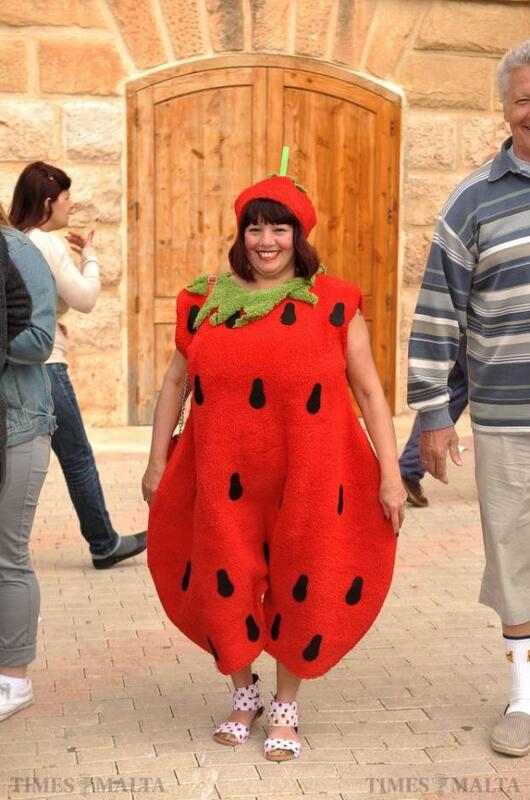 There is additionally the creative side with some outrageous inventions such as producing the largest wheat loaf to go into the Guinness Book of Records, the tallest chocolate fountain and a number of bizarre strawberry creations. As can be expected, such events attract side show vendors flogging hamburgers, chips, kebabs, wine, beer, alcohol, soft drinks, ice creams, candy floss and every other concoction that speeds up the blocking of arteries. Then there are donkey rides for kids, bouncing castles and face painting and anything and everything under the sun that can induce money out of pockets. 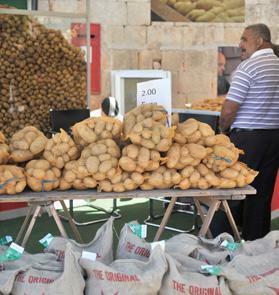 In short, all the fun of the fair – and the people of Malta and Gozo thrive on it and it’s all very jolly for the tourists who join in with gusto and seem to wallow in and on the beer and wine troughs. By now you have figured out why Malta is awash with obesity and diabetes problems – indeed possibly the most horrendous statistics in the EU. Still, never despair, we only live once. FOOTNOTE SEQUEL TO MALTA DIARY No. 15: The Eurovision Song Contest was won by a man, dressed as a woman and – to boot – sporting a beard. I will not comment on this. However, my lovely female acquaintance Rita Brincat sent me a note suggesting that as from henceforth the contest be re-named the Eurobullshit Contest. Needless to say, I fully agree. Well done Rita! In fact I suggested to her that such visionary wisdom deserves a seat in the EU Parliament, a body that actually specialises in Eurobullshit.